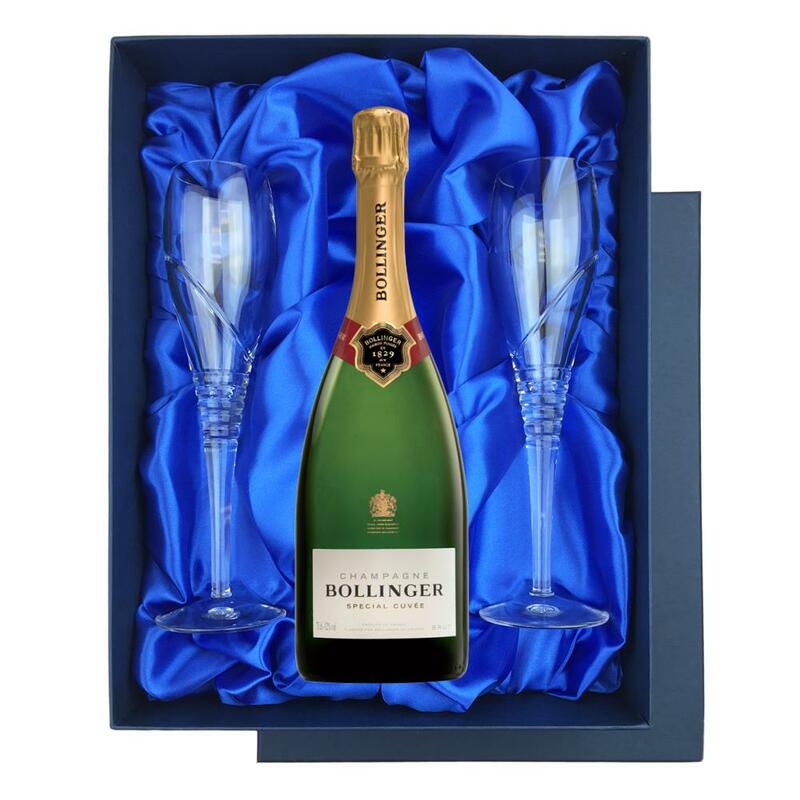 A lovely presentation set with a bottle of Bollinger Special Cuvee, NV, 75cl and two beautiful Royal Scot cut handmade flutes all supplied in a blue luxury presentation box, lined with satin. 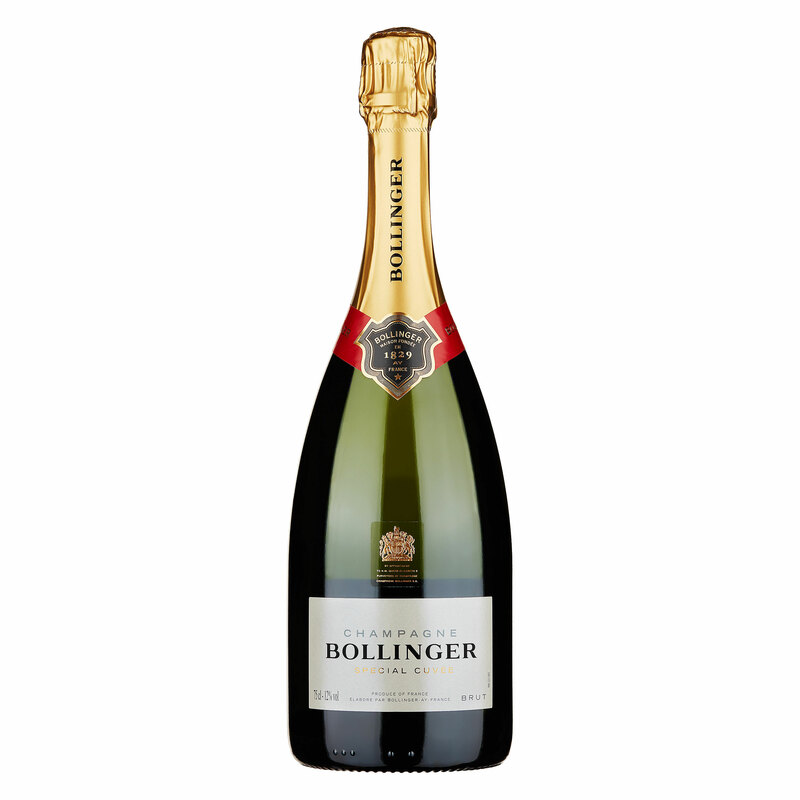 With a distinct golden colour in appearance this Bollinger has an aromatic complexity of ripe fruit, spicy aromas and hints of roasted apples and peaches. Presented in a gift box with a gift card, displaying your very own personal message.